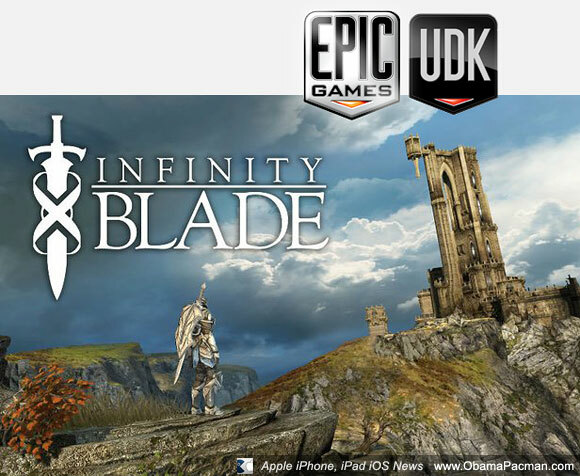 Epic Games is going to release their anticipated Infinity Blade iOS game next week, and its impressive next-generation game engine for free! The Unreal Development Kit (or UDK) with next generation Unreal 3 Engine will be released to iOS developers for free, Epic Games, creator of Epic Citadel and Infinity Blade announced. The release of the mobile game engine would benefit developers on Apple’s iOS platform, by reducing the cost and time required to create a new mobile game title. “Toolsets of this quality generally cost developers anywhere from $500 to tens of thousands of dollars, so by releasing the UDK for free, Epic is drastically lowering the barrier of entry for iOS developers wishing to create graphically impressive games.” Macworld describes. Epic Games also announced that after the release of their Unreal 3 Engine, they will release content and tutorials to iOS developer community. It’s been reported that Steve Jobs was so impressed with Infinity Blade, the developers were invited to share the stage with the Apple CEO in a recent special media event. This entry was posted on Thursday, December 2nd, 2010 at 3:42 pm	and is filed under iPad, iPhone. You can follow any responses to this entry through the RSS 2.0 feed. This is great news for developers, which, I’m sure, will result in more fabulous games for the iOS platform. 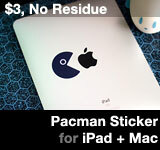 It’s a win for the iOS developers, but even more of a win for us iOS users! Thanks Epic! Am I missing something? This is a for profit company releasing tools they could potentially charge hundreds for? Why? Where’s the incentive? The only thing I can think of is having it somehow be an advertisement… but even then, I don’t think I’m going to buy Infinity Blade. So many by using this toolset they somehow force advertisements into the games you make for their games? Or is it really just the Christmas spirit? If I’m not mistaken, media outlets generally misquote or simplify the licensing situation for UDK. The idea with UDK is to put the full toolset out there for anyone to try and build mindshare, particularly to get students familiar with the toolset in university courses, so that the next generation of game developers will all be Unreal Engine developers. If you are using the UDK internally in the company, say as a visualization tool, and not selling to customers then it’s $2500 per seat. However, if you intend to develop a game and then sell it, then you will need to sign a commercial licensing agreement with Epic. That is $99 upfront and 25% of all your revenue above the first $5000. Once you are making money, it won’t be free. The point here is not to flood the market with 99 cent games with great graphics. Although Epic did say they were thinking about terms that are a little more reasonable for the mobile environment. Actual computer and console games aren’t using UDK, but sign full commercial agreements giving access to the Unreal Engine source code so you can modify it to your game as well as full technical support from Epic staff. Thanks, ltcommander.data. That makes sense. Confirmed, article updated.